Created in 2006, “Lisbeth” designer Sophie Alden, started making her unique pieces out of LOVE and because she also found it difficult to find quality items that were affordable. 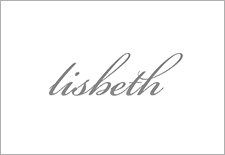 After creating a few pieces for herself and close friends and selling some out of local retail store “One Of Few”, the demand for Lisbeth bloomed! The collection is comprised of mainly 14k gold fill and some sterling silver with the use of unusual stones and delicate and unique charms are added for a more feminine look. Like Alden, I’m a simple girl that loves “pretty things” and her collection of jewelry is quite suited to my style sensibility. With the success of Lisbeth, Alden decided to launch in 2012 a sister line called Birds Of A Feather which features well priced fashion statement pieces. 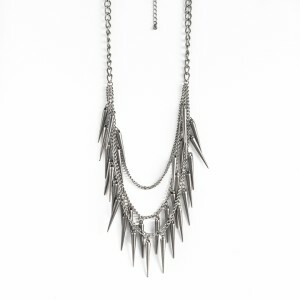 Gold and silver spike bracelets, collar bow and layered fringe necklaces, all trend right and easy on the wallet too. It's the perfect compliment to my funky and edgy side. Lucky for you I carry both her lines on www.ShutUpILoveThis.com. I hope that both a Lisbeth and Birds Of A Feather piece find their way into your home. Keep a look out for new collections to hit soon.